Snowman has been proudly serving the Kitchener and Waterloo area since 1990. We are a single source, full service snowplowing contractor for all your snow, de-icing, and removal requirements. 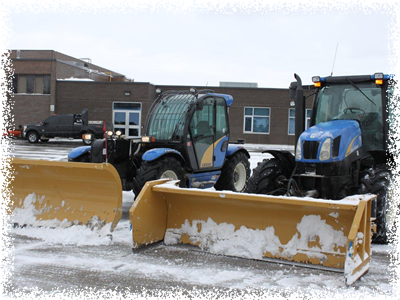 Our services include but are not limited to: snowplowing, ice control (salting/sanding), and snow removal/haulage. Customer satisfaction is our top priority and we will provide only the service(s) you request! We are serious about snow & ice maintenance! Please fill out our ONLINE FORM or call us for a no obligation quote on any of our services!